Ever since I saw this photo a few years ago, I knew I'd like the designer behind the look. 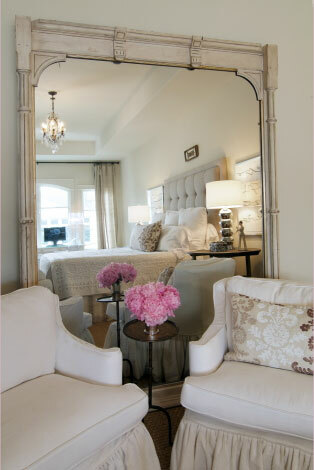 The perfect little girls' room: feminine and soft, but not too sweet. Love the natural sisal with the pink velvet ottoman and soft chiffon bed skirt. 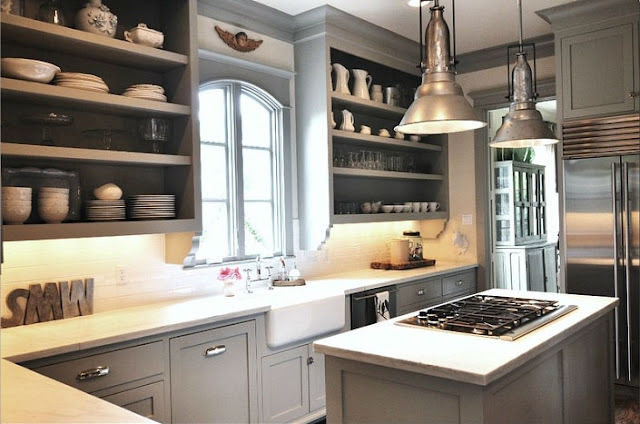 I love this kitchen as much as the first. 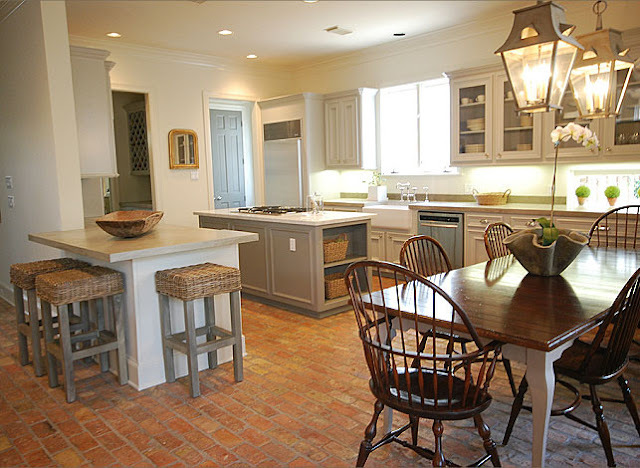 Brick floors, lantern fixtures, and a farm house sink - perfection. Classic room with a modern pop. 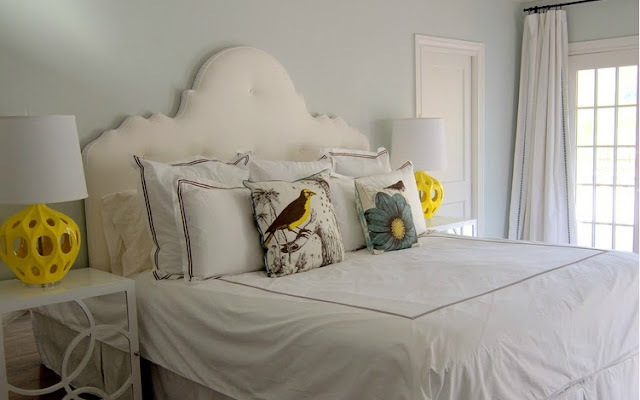 It would be so easy to change out the accessories to completely change the look of the room. And the light fixtures. So cool. While I don't think I'll find anything exactly like those on my budget, I do have some thrifted antique fixtures with the same general feel. 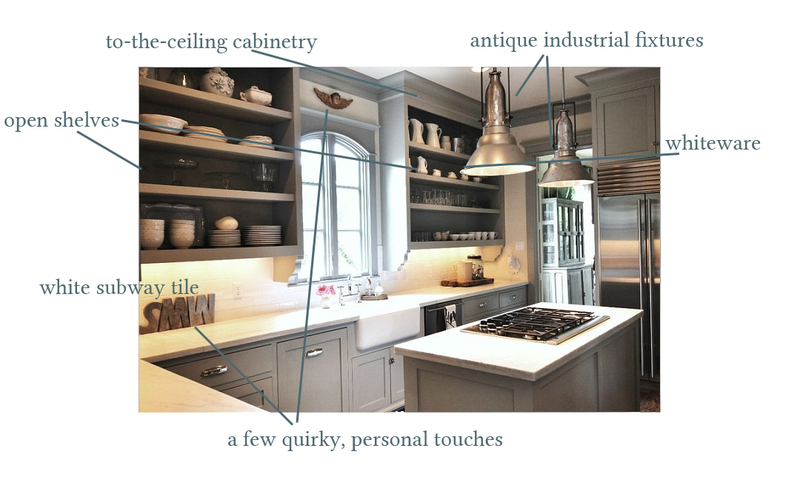 And the to-the-ceiling cabinetry. Love this look. Again, might risk marital bliss if I requested moving or replacing cabinets. But I do have an idea that might work to fix the staggered height cabinets and give us a more classic look, similar to Ms. Wheat's gorgeous cabinets. And the quirky, personal touches that are seen throughout her home. I love the personality these give the space. I'm sure I can scrounge up a few things. Hopefully I'll be back soon with an update on our kitchen - and hopefully it will look a little more like Sally Wheat's.